Learn dance in programs specifically created for children ages 18 months – 6 years old. Our lower school, Mommy Me to Pre-K, focuses on nurturing our little dances so they develop a love and respect for dance. These formative years in a dance class are sure to develop discipline, confidence and focus- skills they will utilize for a lifetime! We are proud to offer your dancer a creative and loving dance curriculum taught by highly educated and caring dance instructors who are certified in their dance field. Grow confidence and technique in dance training programs for young dancers ages 6-18. Passionate about dance education, CTD youth dance programs offer multi-class ballet curriculum as the foundation for other genres of dance: modern, lyrical, jazz, tap, contemporary, dance for musical theater and acro. Dancers improve precision in their technique, increased performing opportunities, and the opportunity to develop strong friendships with other dancers who share their passion. Dancers may audition for CT Theater Ballet Co and our award winning CTD Competition Team. Inspire professional dance technique preparing dancers for auditions into dance companies and college dance programs. This advanced level of training perfects technique, enhances performance quality, and demands mastery of intricate choreography. High School Dance Program is also available for dancers who want to continue enjoying professional, age-appropriate dance training, but need a flexible schedule as academic pressures, college preparations and alternative extracurricular activities increase. 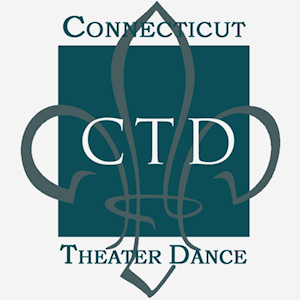 Dancers may audition for CT Theater Ballet Co and our award winning CTD Competition Team.